The opportunity for each student to experience full immersion in the German language and culture—while at the same time truly gaining a sense of independence—is what sets apart Cornell in Berlin as a premier study-abroad experience. By forging relationships on an international stage, Cornell in Berlin gives undergraduate students the opportunity to master their German language skills while becoming independent young adults. Part of a larger initiative known as the Berlin Consortium for German Studies (established in 1995), the Cornell in Berlin program is implemented in collaboration with other institutions—University of Chicago, Columbia University and Barnard College, Johns Hopkins University, University of Pennsylvania, Princeton University—and in association with the University of Notre Dame and Vassar College. Integral to the consortium’s success is their partnership with Freie Universitaet (or Free University). The Freie is a high-level state university in Germany, located in the vibrant, culturally diverse city of Berlin. 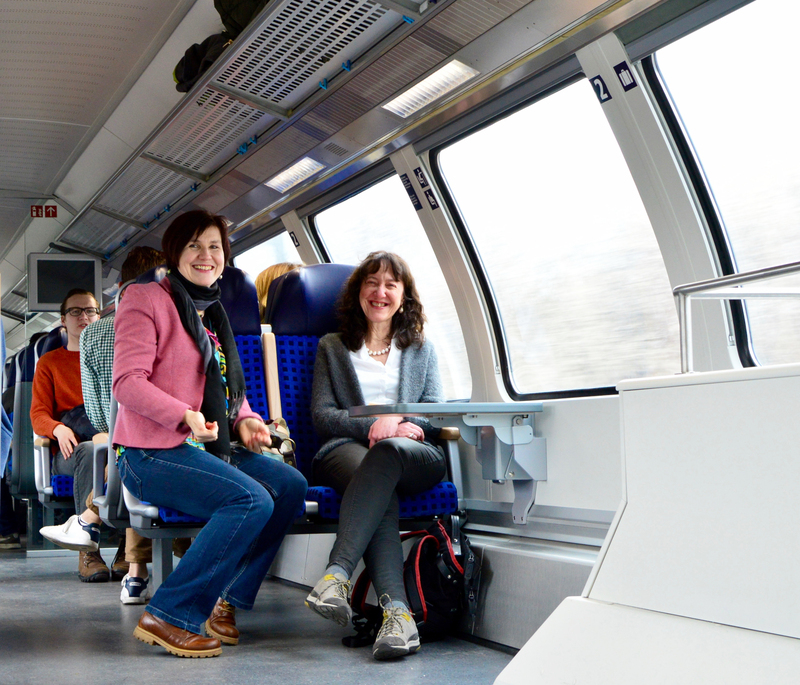 Patrizia McBride, professor and chair in the Department of German Studies at Cornell’s College of Arts and Sciences, explains that the Freie has a history of developing really strong international programs. “The Freie is a model of higher education that emphasizes the importance of international relations,” she says. “I witnessed among the students an incredible sense of pride and accomplishment for completing a rigorous and challenging, yet completely fulfilling program,” she says. McBride, whose teaching and research interests lie primarily in twentieth-century German literature and culture, describes the spring semester course, Too Much to See? Literary Culture and the New Vision in Weimar Germany: 1918–1933, as a highlight of her time in Germany. She also enjoyed the opportunity for an excursion to Dessau, home of the Bauhaus buildings, as an exercise in modern architecture and design. Offered for a full-year or semester, Cornell in Berlin seeks prospective students who are well-rounded individuals possessing initiative, grit, and determination, according to Grace. A range of majors is represented among the students: philosophy, history, economics, and biology. A command of the German language is required, the equivalent of at least two years of college-level German study. Students who apply for the program are administered a language test that covers German reading, writing, grammar, listening, and speaking. The Berlin Consortium for German Studies (BCGS) program kicks off with a mandatory six-week extensive language study, combined with an introduction to German academic culture. This six-week introduction greatly benefited Eric Zimmermann, a student in the spring semester program from March through July 2016. “BCGS does a good job in the first month with day excursions and a language course that allowed me to form close relationships with others in the program, who helped me when I felt homesick,” he says. Nikki Schwardt, another student who studied during the spring 2016 semester, explains that she gained confidence in her language ability, both conversationally and academically. She believes this is definitely a result of the full-immersion aspect of the program. During the orientation period, students live with a host family—this situation creates an interesting cultural exchange where lifetime relationships are formed. Host families provide students with the opportunity to relate to real-life Berlin. After six weeks, students can either opt for residence-hall housing or seek independent housing options. The majority of students continue to opt for the latter, despite the Berlin housing market becoming very tight due to the city’s growing population and popularity. BCGS is not just about acquiring knowledge but also the skills for adapting to an environment. Carmen Mueller, the resident director for BCGS at the Freie, has been with the program since its inception, and is largely responsible for the program’s continuity and success. She explains it this way: BCGS is not just about acquiring knowledge but also the skills for adapting to an environment. “In the program, students truly grow-up, doing all those adult things that their parents have historically done for them. Students leave the program as self-assured grown-ups,” Mueller says. Zimmermann is testimony to Mueller’s mantra. Mueller and her team support the students every step of the way. “When Carmen knocks on doors, students are given opportunities that may not be available in other programs,” claims Grace. Opportunities include internships, cultural experiences, and athletic experiences (soccer and rugby, to name a few). Berlin is a thriving city where students are exposed to a realm of music, opera, theater, museums, and architecture. It is a cultural hotspot, geographically and politically located at the crossroads of Eastern and Western Europe. McBride says that several of the BCGS students were particularly compelled by the Tango scene in Berlin, one of the Tango capitals of the world. Zimmermann lived in an area of Berlin that brought unique opportunities. “The large Turkish population of Neukoelln is something far different than I would experience anywhere at home, or even elsewhere in Berlin,” he says. Cornell in Berlin also provides students with the advantage of being in an affordable, safe city. Greater opportunities “for doing” exist in Berlin than in many of its European counterparts or even in the home cities of several of the universities in the consortium. 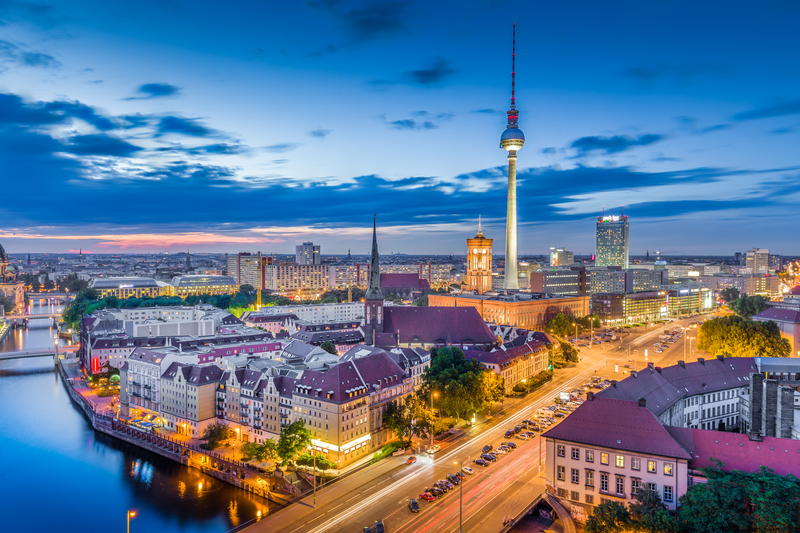 Students who enroll in the full-year program (September to July) can further immerse themselves by participating in an internship in Berlin during the February/March semester break. Working in Germany further removes students from their comfort zones—working in a different culture can give students greater confidence, maturity, and independence, says Mueller. The program offers students immersion in the professional arena of Berlin, in addition to the academic and cultural immersion they experience through their studies. Internships are offered by organizations that range from German television stations to museums to local government offices. Mueller and her team provide support to students seeking jobs as well as applying for them; the team also helps with review of cover letters and resumes. Students further master the German language by speaking in professional terms—this provides them immersion in the professional arena of Berlin, in addition to the academic and cultural immersion they experience through their studies. The internships can potentially open professional doors both abroad and in the states. Crediting the life-changing experiences provided to them via Cornell in Berlin, a number of students ultimately return to Berlin to pursue careers or master degree programs. German classes typically culminate with a lengthy analytical paper, constructed strictly in German. As part of BCGS, Cornell in Berlin students are provided with academic writing consultants to aid and assist them along the way. They meet weekly during the entire program and sometimes even more often before “final crunch time,” says Mueller. The consultants are advanced bachelor degree or master degree candidates—they are not replacements for professors, she explains, but they serve as advisors and collaborators. The writing consultants play an integral role in the success of each student and are viewed by the students as invaluable. On completion of the program, students report feeling a tremendous sense of accomplishment. The combination of the six-week course coupled with tutor access sets up a strong foundation for success. Relationships define the uniqueness and success of the Cornell in Berlin program—from the partnerships among the consortium, the integrated hosting provided by the Freie Universitaet, the dedication and individual attention of Mueller and the faculty advisors, to the relationships the students develop among their peers, their writing consultants, and the city of Berlin.